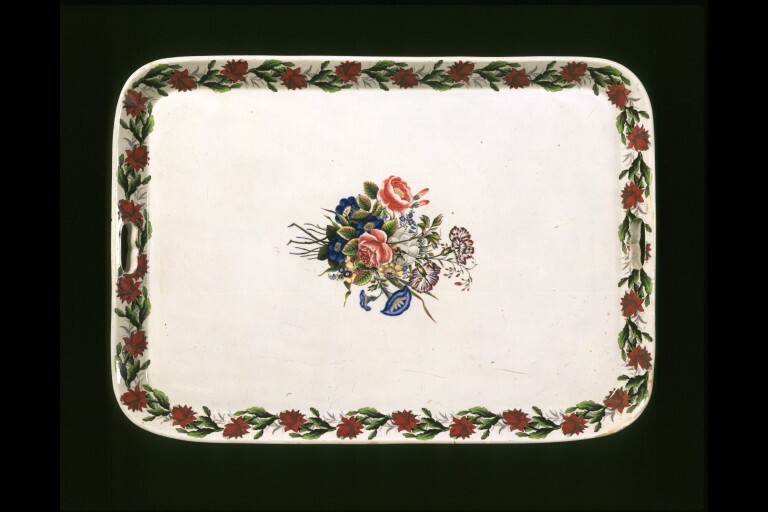 Tray of white earthenware transfer-printed with grey enamel and painted with enamels under a glaze. Oblong with rounded corners and with perforations for holding at either end. 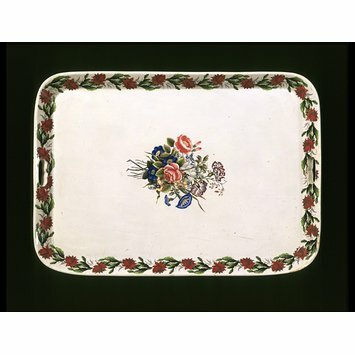 In the middle is a bouquet and round the rim is a border of red flowers and foliage on a continuous stem. 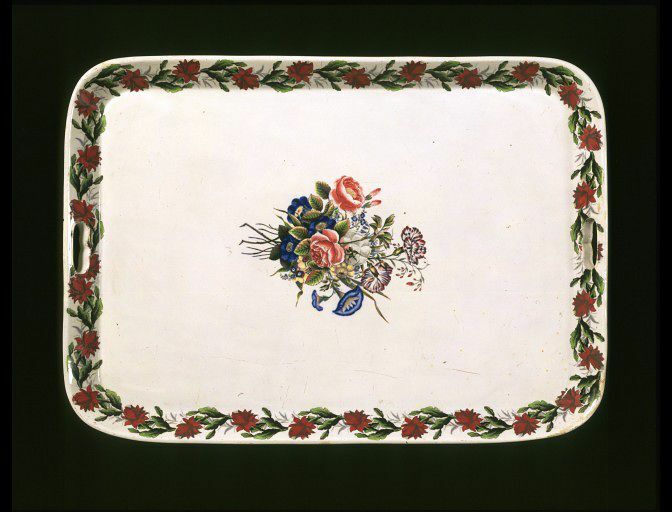 Oblong tray of white earthenware transfer-printed with grey enamel and painted with enamels, made in La Cartuja, Seville, middle of 19th century.